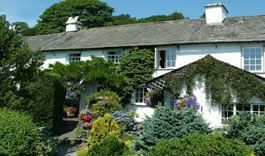 Why not make even more of your stay in our dog friendly cottages by booking some on site dog training. Our APDT UK accredited trainers are able to offer a wide variety of training whether you want to make sure your dog comes when he is called or try out a fun new activity, we have something to suit everyone. Over in our own two-acre field we have a variety of equipment and can offer training in Dog Parkour (where your dog learns to climb on and interact with a variety of obstacles), Hoopers (a low impact kind of agility) Flyball, tracking, searching and much more. We are also able to offer training walks with an emphasis on maximising enjoyment whilst staying safe when walking your dog in the Countryside. From time to time we also host specialist workshops such as our popular gundog weekend and our Real Skills for Connectivity Workshop. All training needs to be booked in advance and can be arranged as a one off lesson or as a package of lessons throughout your stay. Chris Mancini MAPDT, UK 00515 – Chris lives locally and is able to offer training throughout the year. Chris has worked as a veterinary nurse for over thirty years. This work sparked an interest in dog behaviour and training. She studied with COAPE to gain a grounding in behaviour before setting up classes. A member of the APDT, UK she set up Puppypals dog training 18 years ago.She has competed and instructed in obedience and agility. Chris has ran the usual pet manners classes, as well as various other skills including Scentwork. 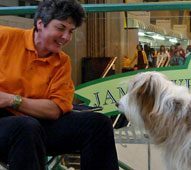 Chris has performed tricks/routines with her dogs at Crufts as part of the James Wellbeloved ‘All Stars’ Team. As well as this she has done lots of film work and photo shoots with her dogs, they have appeared on various adverts as well as Eastenders. She is a trainer and assessor for Dog Aid and also instructs on the APDT Instructors course. Her passion is sharing training ideas with like minded people, to develop the amazing bond that can be developed using fun, innovative training. Ju les Morgan – I have been a dog trainer since 1993 and have run my own dog training business since 2002 teaching puppy, pet and gundog classes. Over the years I have worked closely with behaviourists and have in-depth understanding of the science and techniques behind behaviour training. The majority of my teaching is now gundog training and the increasingly popular series of Gundog Games Workshops held around the country. 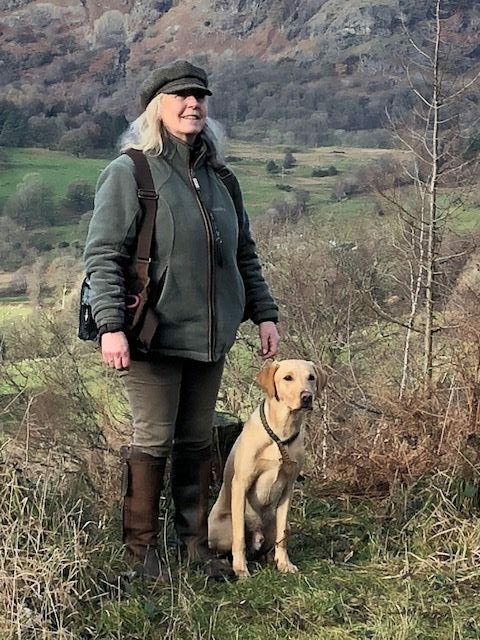 I am director and course tutor of The Gundog Trainers Academy which provides educational courses and accreditation to instructors in ethical gundog training. I have been involved in shooting since the beginning of my dog training career, undertaking many different roles but chiefly as ‘picker up’ on a wide variety of shoots from both small and large syndicates, country estates and small farm shoots, rough shooting and wildfowling. I am a qualified dog trainer with the Association of Pet Dog Trainers (APDT), Accredited Animal Training Instructor with the Animal Behaviour & Training Council (ABTC), Accredited Trainer and Assessor for The Gundog Club, I hold the BASC Safe Shot Certificate and the LANTRA Shooting Assistant/Loaders Certificate. I have considerable experience teaching fellow professionals through interactive behaviour and training workshops and was principal tutor for PACT. I believe my training history and experience as a ‘crossover’ trainer enables me to be extremely sympathetic to and understanding of the hurdles involved in that process but also to the considerable enjoyment of training this way for both dogs and handlers. Currently I have three dogs, Fig and Otter are Labradors and the infamous working cocker Buckle who frequently join in the workshops and classes and can always be relied upon to make us laugh – usually at my expense! Our trainers adhere to the principles of the Association for Pet Dog Trainers and only use kind, fair and effective training methods.